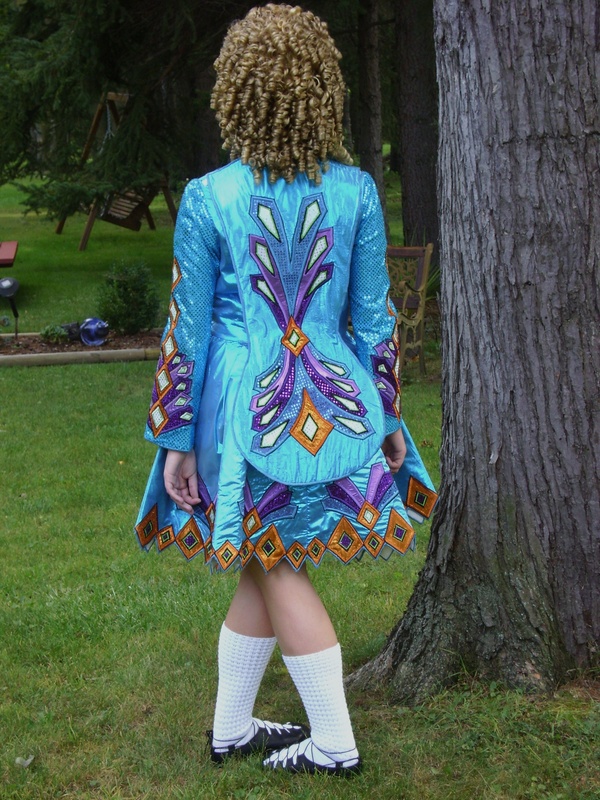 The dress is a beautiful turquoise color with light and dark purple designs. The dress is in great condition and has only been worn about 6 times. 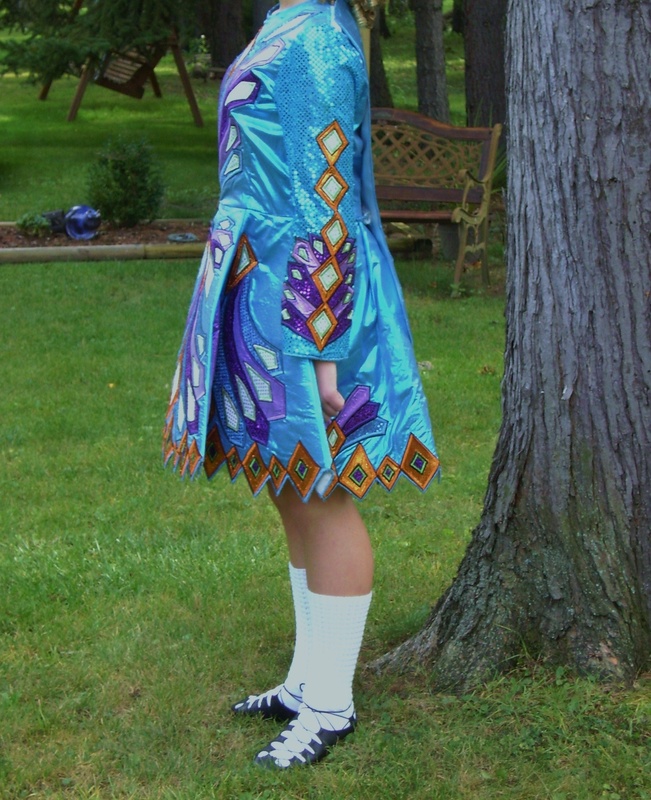 The dress includes white bloomers, a matching crown with the dress, and extra turquoise fabric. Asking Price: $US375. Shipping costs are not included in the asking price. Sale is final.